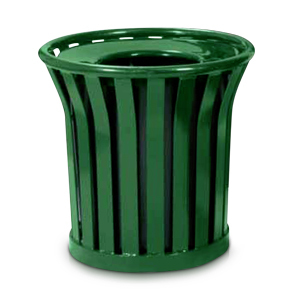 Includes a matching 21-1/2" inside diameter flat top lid. Additional lids may be ordered separately to mix and match colors or for future replacement. Anchor kit includes hardware for surface mounting. Choose from the powder-coated color options shown. Made from 1/4" x 2" Steel Slats.